WCT forming symmetrical triangle pattern. Will it break up or down? Stochastic %K trigger SELL call, pending confirmation. 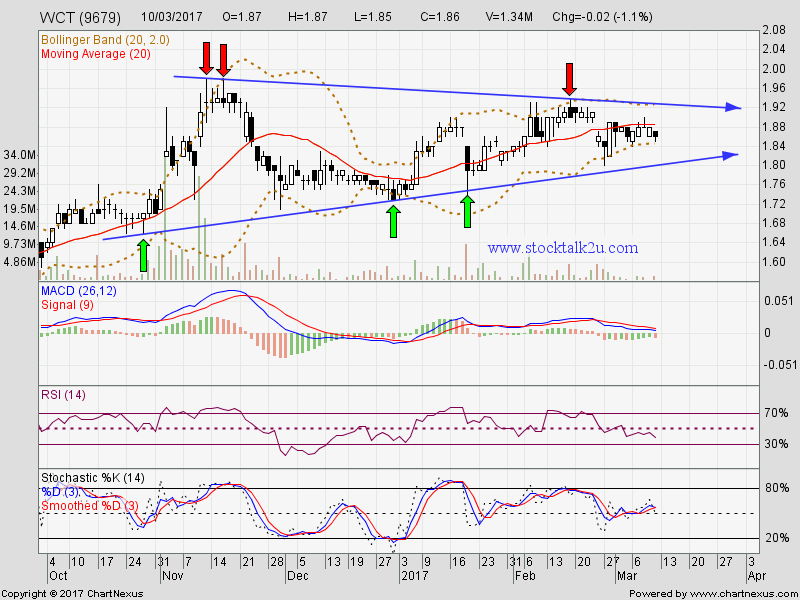 Immediate support @ RM1.80 level. Subsequent support @ RM1.725 level. 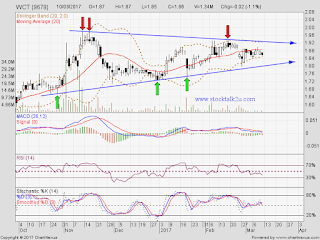 Subsequent resistance @ RM1.98 level.